Facebook's Internet.org Platform renamed to "Free Basics"
Back in May, Facebook launched an Internet.org Platform initiative that let third-party developers get on board with the project - it meant other software makers could plug their wares into Mark Zuckerberg's grand vision. 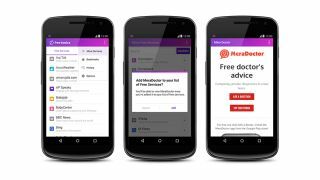 Now the Internet.org Platform is live and open for business, and it's got a new name at the same time: "Free Basics by Facebook". The scheme as a whole is still called Internet.org so make sure you get your terms right when discussing all this next to the office watercooler. "Today, more than 60 new services are available across the 19 countries where free basic services are available," explains the Internet.org blog post. "Not only does this expand the range of resources available to people, it gives them more choice and control over the services they can use in the app and website." A couple of the early third-party apps included are SmartBusiness, for helping people launch their own enterprises, and BabyCenter, which includes vital health information about pregnancy and parenting. If you're completely bamboozled by all of this, Internet.org is Facebook's initiative to get the developing world online using low-cost smartphones. Some services are available free of charge (hence "Free Basics"), paid for by Facebook's carrier partners and the premium options people can choose to upgrade to once they get connected. The plan has had its fair share of critics who think Facebook just wants more people signed up for its social network and locked into the Facebook ecosystem. This extending of the platform to other developers and apps is part of a response to that criticism.